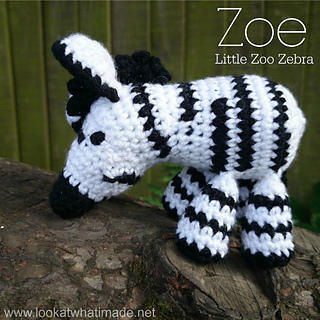 Zoe the Zebra is part of a Little Zoo series that Anette Bak and I are working on. 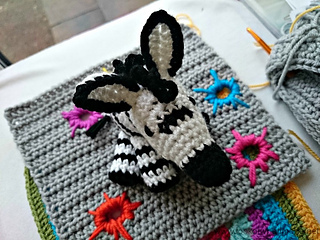 The pattern is available as a written-only pdf AND as a series of photo tutorials. US Terminology used, although a link is provided to a US/UK comparison chart. Zoe’s ears and legs are joined as you go, making for very little sewing indeed. Her limbs are movable so that she can sit, stand, and lie down with ease. At less than 5” from nose to tail (smaller if you are using light worsted weight yarn), she is tiny!